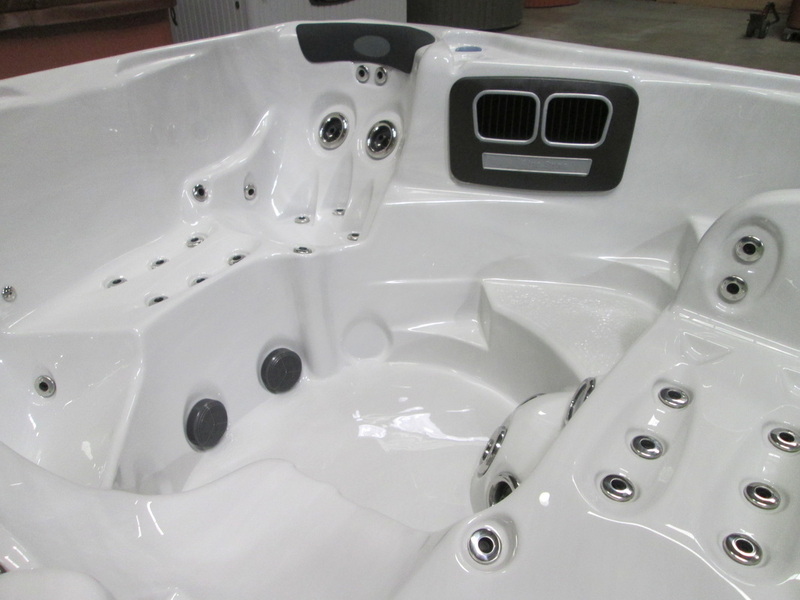 The Olympus XLS features “His and Her” loungers ensuring everyone has a custom fit. The lighted handrail will guide you into this powerful vessel packed with hydrotherapy jets targeted to massage all parts of the body. 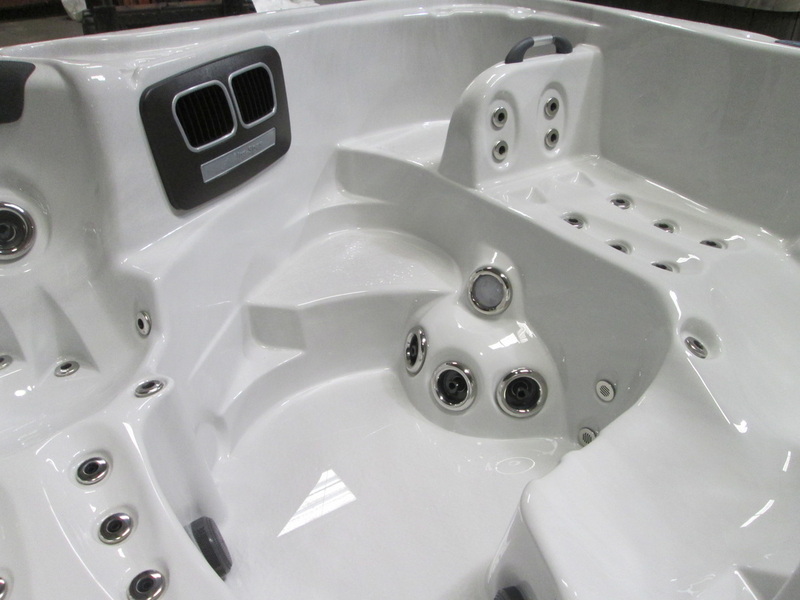 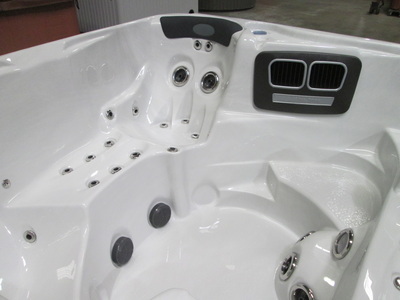 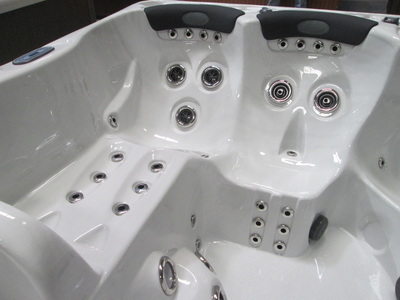 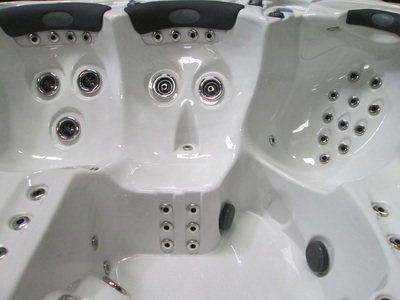 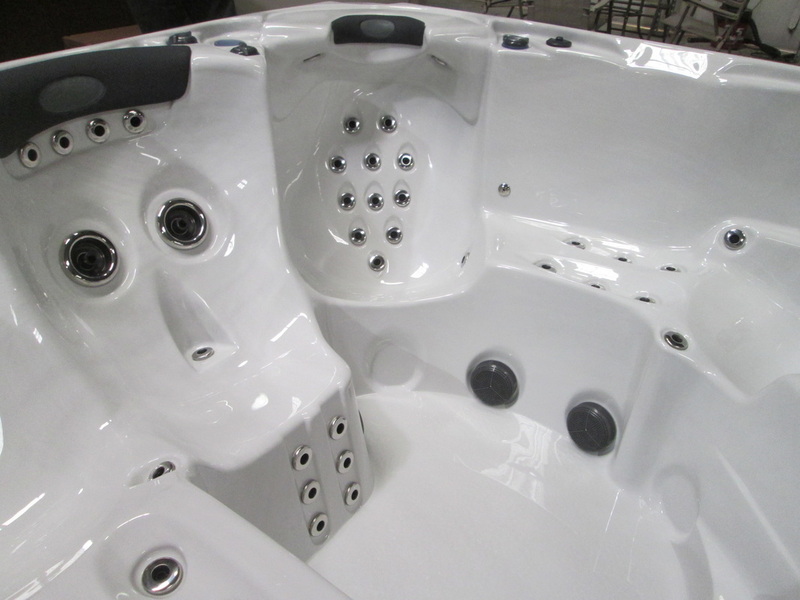 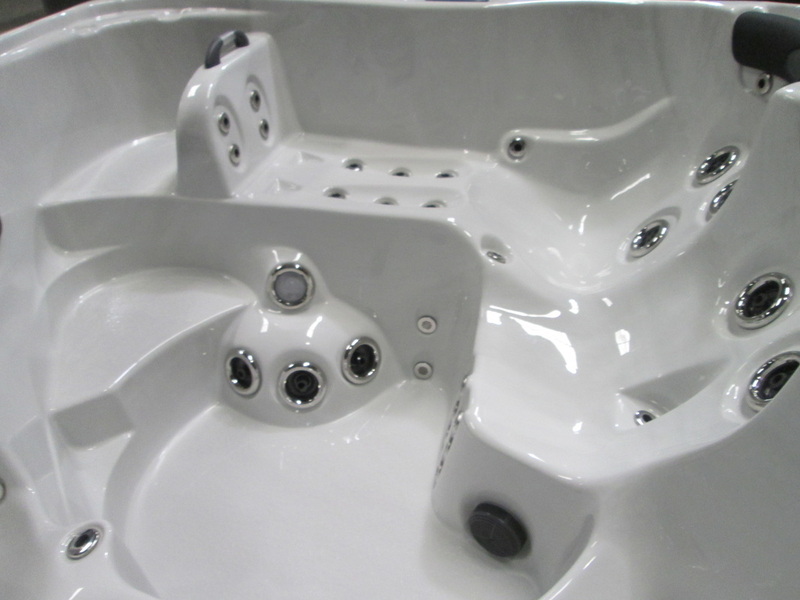 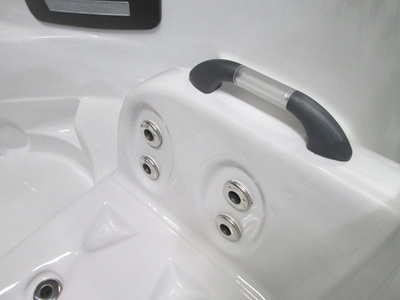 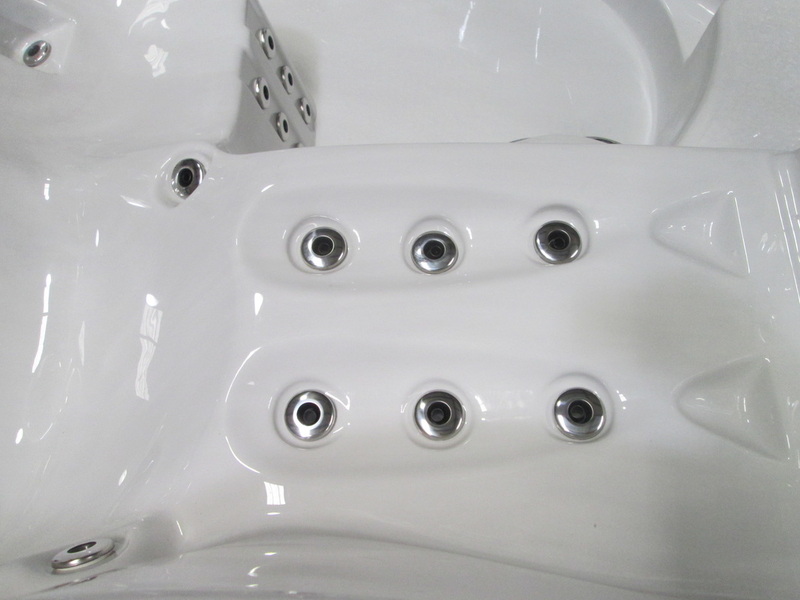 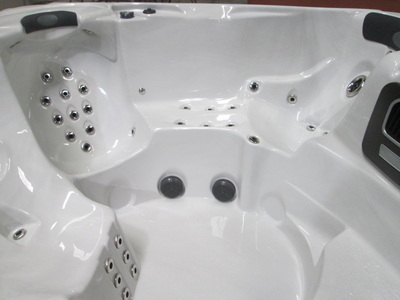 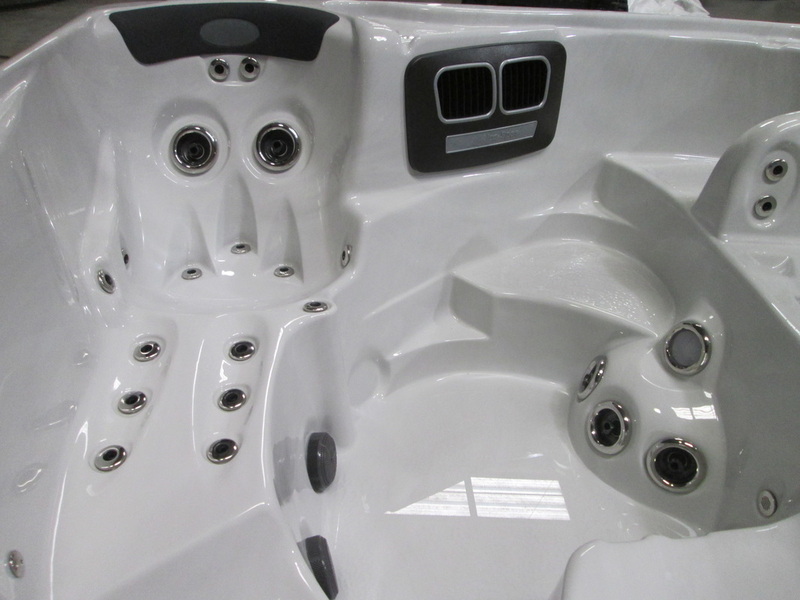 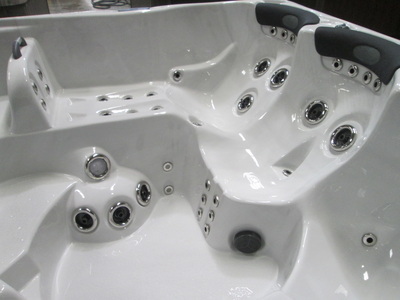 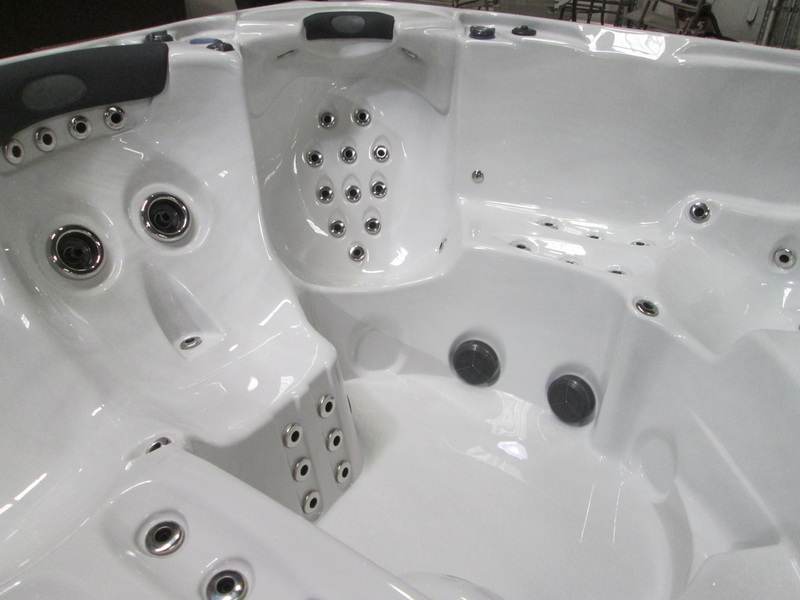 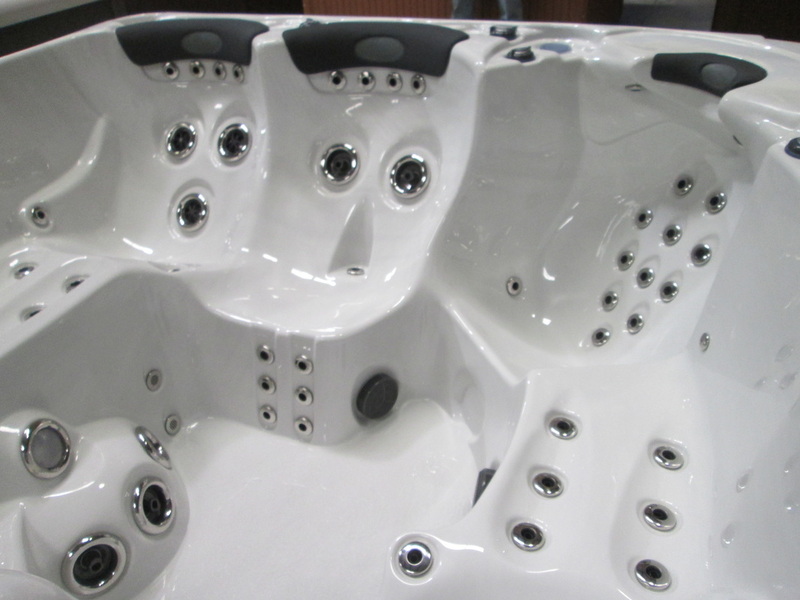 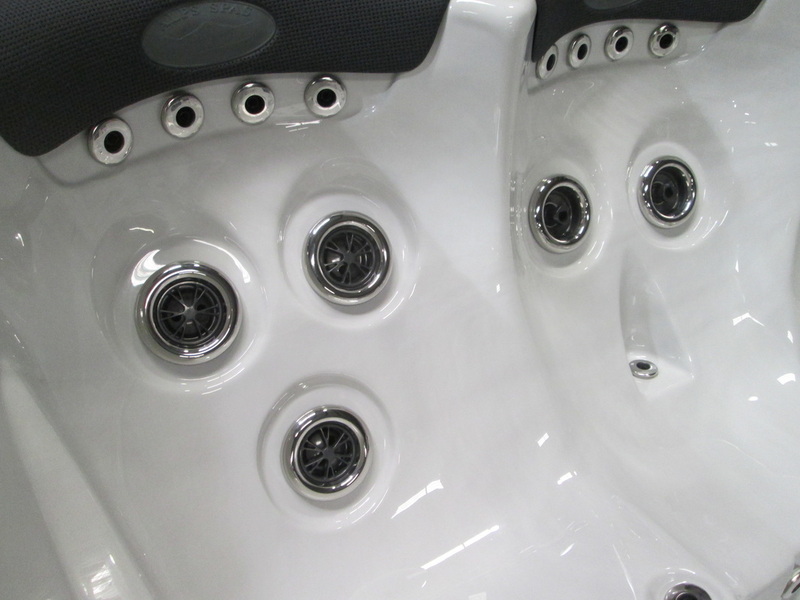 The newly designed hot seat is equipped with reverse neck and shoulder jets to reach the areas other spas can’t. 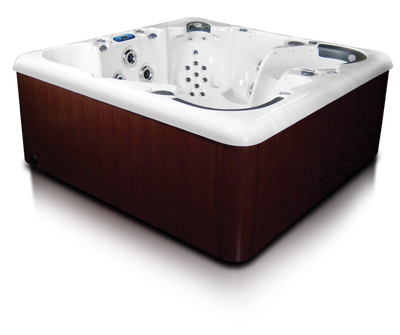 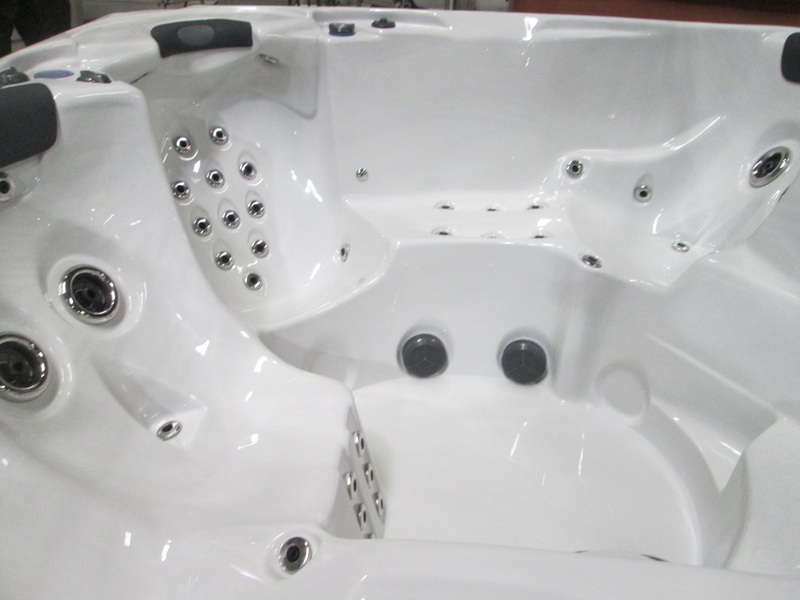 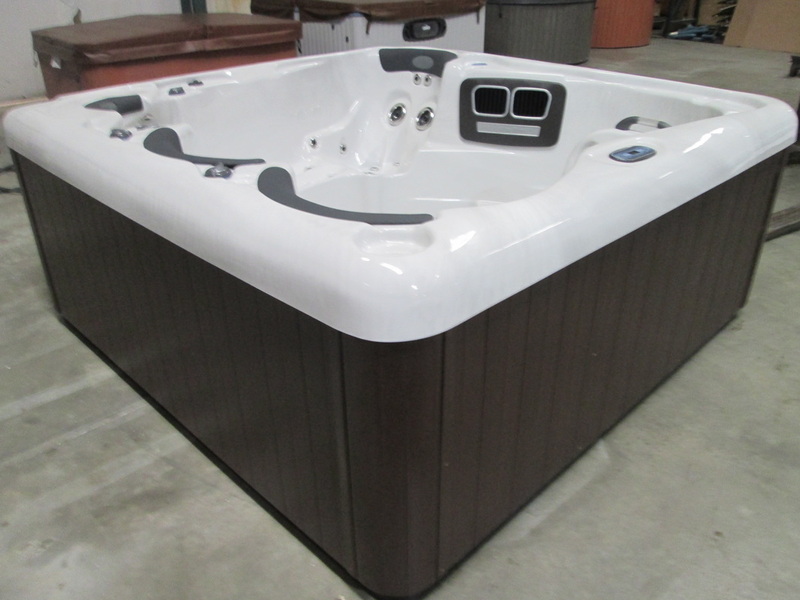 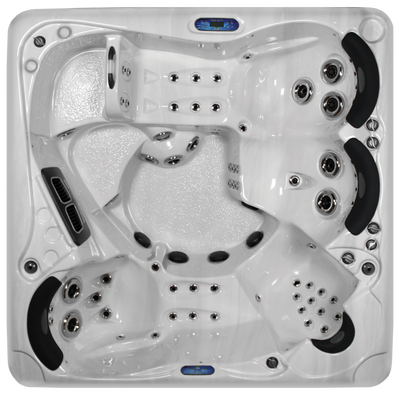 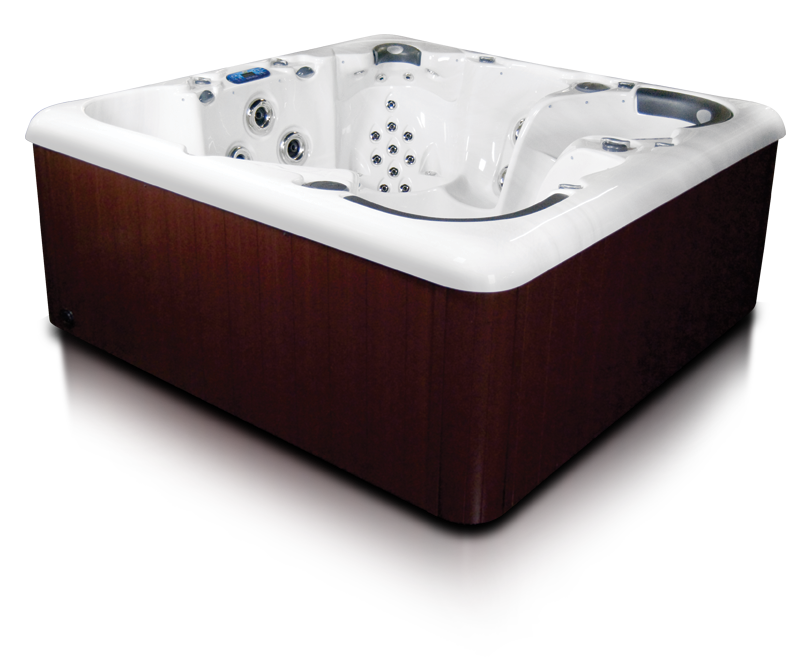 Dual whirlpool jets are ideal for a powerful hip or back massage while creating a calming flow throughout the spa. With so many features you will find yourself never wanting to get out of this gorgeous spa. 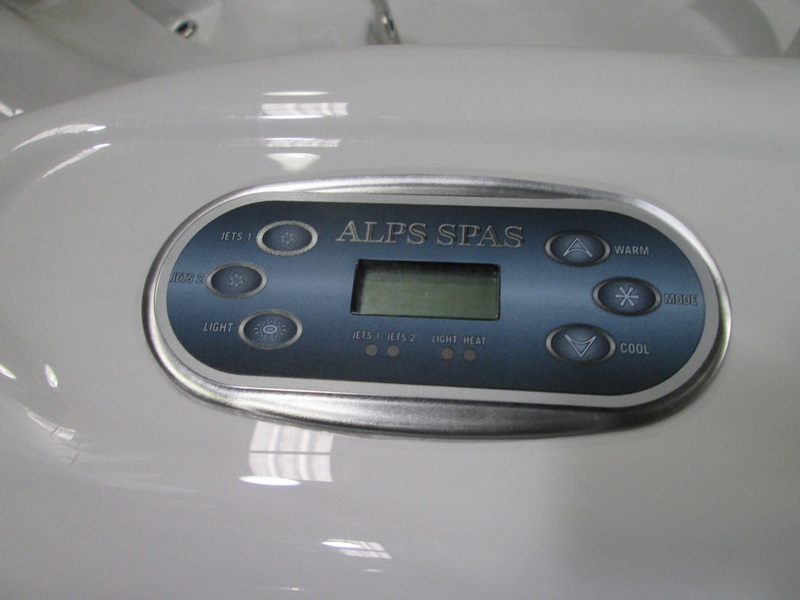 Fill Weight: 4424Lbs. / 2010Kgs.